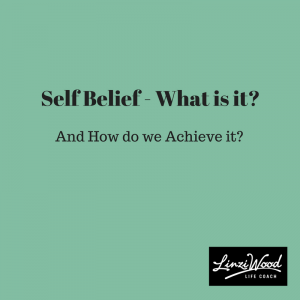 Self Belief – What is it? & How do We Achieve it? Self-belief is not about appearing or sounding confident, although those qualities can be a really welcome by-product. It’s not about career, friends or social status. In my opinion, it’s simply a genuine feeling of safety and security in ‘who’ we are. It’s a feeling of trust in our very personal inner truth. There are people, and I think we are all affected by this at times, irrespective how confident, who judge themselves based on a perception of where others appear to be. Others may appear confident, successful or carefree. It can feel as though, where we are on this barometer of competence, growth and success is what grades our self-worth and ultimately our self-esteem. Sometimes, it seems, if we don’t achieve the usual expectations of school, college, university and a decent career in order to create an amazing pension, what on earth will become of us? (I’m feeling not enough here just saying it – I never went to college or uni!!). However, what people achieve in their life is, like us, very dependent on background, learnings, experiences and influences. Although it can be useful to use the experiences of others to help us as an example, the opinions of others, on the other hand, is very different and none of our concern. When was the last time, when something went wrong for you, that your self-belief took a nosedive with it? For example, that sales target you were hoping to meet that just didn’t happen, did you have feelings of fear like ‘I just can’t do this!’ Or worse, did you ask yourself a question like; ‘Am I the right person for this job?’ And, honestly, how long did it take for those feelings to multiply and for your self-esteem to divide? On the flip side though; what happens to your self-belief when one telephone call brings in a deal which takes you right over your target? How great do you feel then? I have visions of you walking on water here, ok, maybe it’s skipping around your desk a bit but you get my point!! You can see by these examples how, if we are not careful, our self-belief can go up and down due to external reasons. So how do we actually achieve real self-belief? When external events affect our emotions, our self-belief can move up and down like a dinghy at sea, that is if we don’t have it firmly anchored down. But how do we do that? Learning behavioural strategies, like assertiveness, for example, can really help us deal with difficult situations but I’m talking about getting to the place where we feel real certainty. I believe our values are at the very foundation of self-belief. 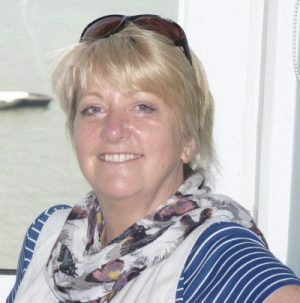 As a coach, I help people get their dinghy onshore and build their personal blueprint which has a firm foundation in values and on which, they can anchor their self-belief. 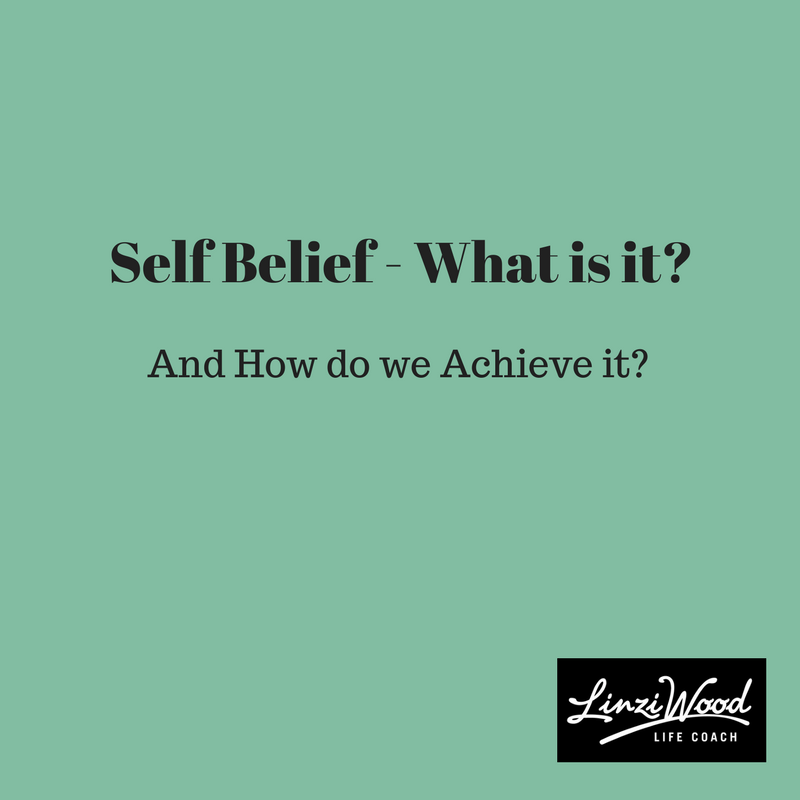 Our self-belief can alter, and trust me, mine has bobbed around like a good’n’ through my life, but just by having that default place on which to refer, keeps us anchored. Even just the process of getting anchored can be a great comfort at times, especially those times when our minds are working overtime. Remember, it’s natural for our minds do the fight/flight/fear thing. However, it’s not what happens but how we respond to what happens, which makes the difference. Our past can have a huge effect on our self-belief. When we made such an almighty blunder in the past, why would we ever consider believing in our self again? 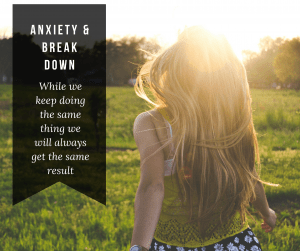 When our feelings of worth are unnecessarily knocked by events from the past or we are tormented by our duplicitous imagination, it’s important to take action. The first thing is to understand it, the next thing is to boot it out of your life as far as your clever imagination will allow!! My mum has a huge framed copy of the poem ‘If’ by Rudyard Kipling which dominates her kitchen and over the years as kids and grandkids have come to grandmas with problems, she has so often referred us to lines in the poem, click the link above should you wish to read it. However, it was only recently that I noticed the poems massive connection with self-belief. “If you can keep your head when all about you are losing theirs, and blaming it on you….” (In other words, no matter what’s happening around you, you are anchored to who you are). So many references in the poem, where, if we maintain a firm foundation in what we know is important to us (our values), then we know we can be calm and in control of our ‘self’. What’s more, when we focus on what’s important, it’s then, I believe, we begin to feel whole and at peace with who we are. It’s not what we do, but who we are in what we do that determines our life fulfilment. It’s not if we‘re a manager but who we are as a manager. It’s not if we’re a teacher but who we are as a teacher. It’s not if we’re a CEO but who we are as a CEO. In order to know who we are, or indeed who we can be, we need to understand what’s important to us. As a coach, I see values take on different meaning or change altogether for people when they begin to explore what emerges from what’s important, what’s really important. It’s a real privilege to witness those moments. Like the strength of the sun, our core principles don’t change but sometimes, like the clouds, obstacles can get in the way. Understanding our self-belief is not about doing more, but focusing on less. When things go wrong, and they will or when we make a mistake, and we will; do everything in your power to put it right. After that, learn from it. Then relax. Keep a thought or mantra that will always take you back your default place, to what’s important for you. That way, events, thoughts and memories have less of an impact. Remember, self-belief is not a loud proclamation of confidence but a quiet knowledge of your own trusted truth. Social Media – How does it affect our life? "Today I am in a much better place thanks to the support, techniques and encouragement given to me by Linzi." 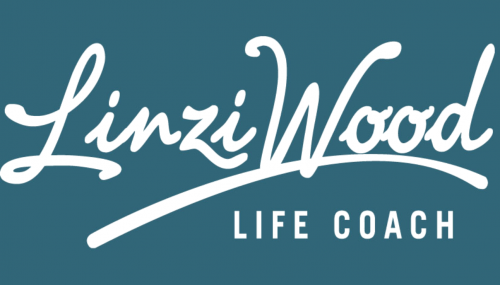 "Life coaching sessions with Linzi are uplifting." "Simultaneously challenging and interesting and interested. She’s lovely. She makes things shift."